Burial and Kode9 will helm the final installment of the FABRICLIVE mix series - Pop It Records - NEW MUSIC EVERYDAY! London institution fabric has announced the 100th and final installment its iconic FABRICLIVE mix CD series will be helmed by two UK pioneers in Burial and Kode9. While the tracklist will only be made known on the day release, which is September 28, the material has been described as a hypnotic 74 minute mix. Both Burial and Kode9 are recognized for their part in shaping the landscape contemporary electronic music, with each artist fostering esoteric, hyperlocal sounds and extending their sound priles to global recognition. Kode9's seminal Hyperdub imprint has a reputation for showcasing an innovative collection artists and as a DJ he's been a fixture at the legendary DMZ and Fwd>> nights in London. Plus, he's released on labels including Aphex Twin’s Rephlex imprint, Soul Jazz, Warp and Domino. Today he continues to break ground in club culture by co-curating the immersive monthly event Ø at Corsica Studios. 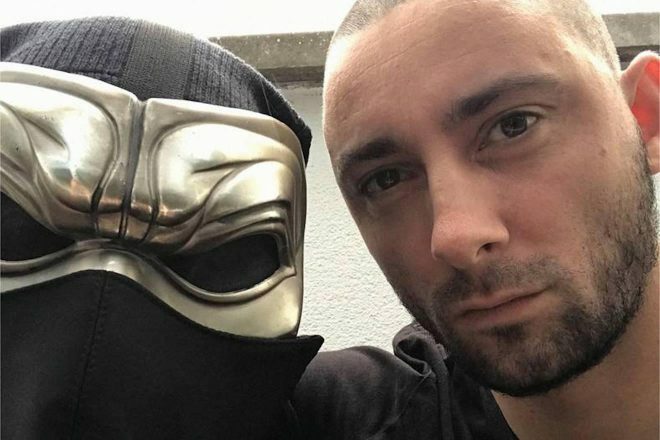 Burial is regarded as one the most enigmatic artist in the industry, having remained anonymous for much his career and producing a unique eerie and haunting sound that's instantly recognizable as his own. His relationship with Kode9 and Hyperdub stems back to his first EP, 'South London Boroughs' in 2005, and he's rarely released on any other imprint since with two highly influential studio albums 'Burial' and 'Untrue landing on Hyderdub as well. Both CD and digital formats 'FABRICLIVE 100' available in fabric's store are comprised the mixed tracks, while the vinyl format showcases the full unmixed tracks across 4 plates. Click here for more info and to order FABRICLIVE 100 on vinyl.